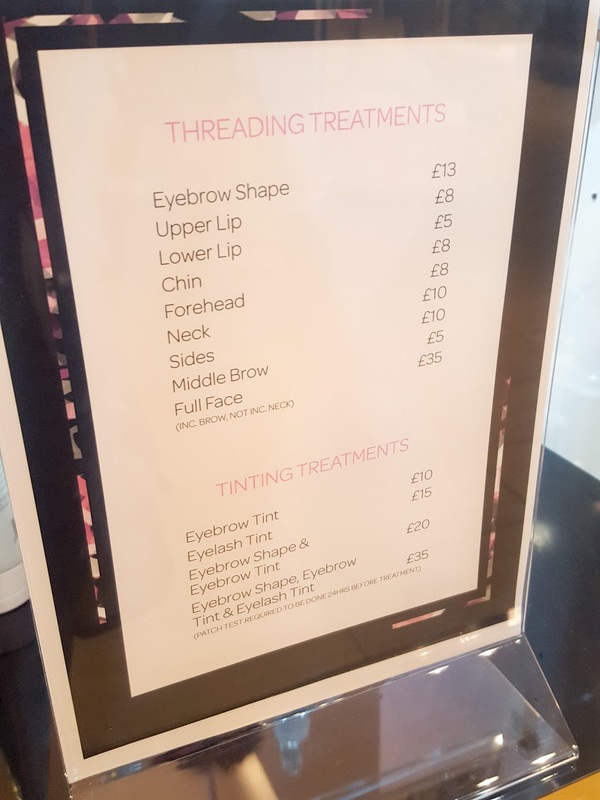 It'd been quite a while since my poor brows had any proper attention paid to them as my local salon recently closed so I was pleased they were able to squeeze me in for a threading treatment, thank goodness! 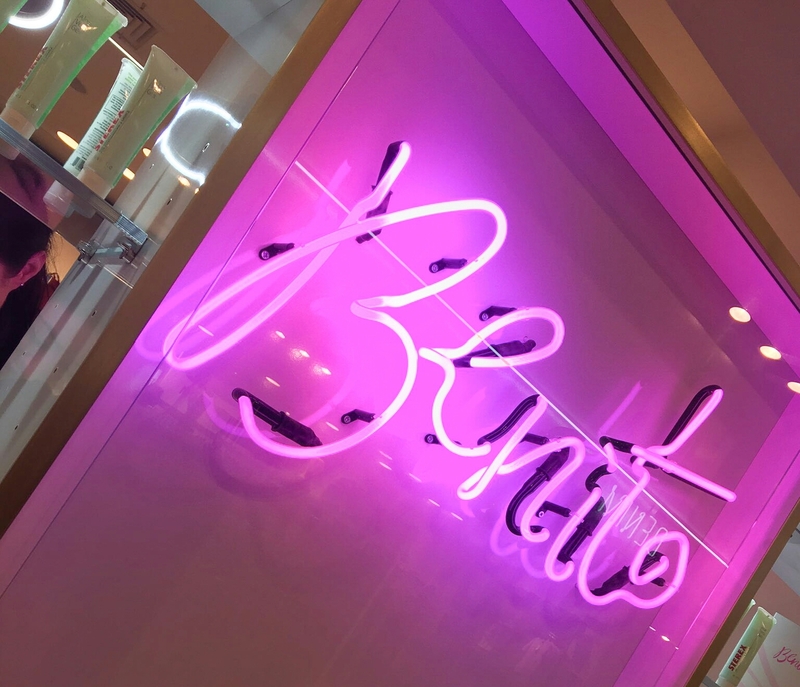 Benito are threading specialists but it's something I'd not really had much experience with but tonight the girls at Benito taught me LOADS. Threading is an ancient technique that has been around for hundreds of years and originated from the Middle East. The technician basically uses a piece of organic cotton thread wrapped round her hands to skim the skin and lift the hairs out. It's ideal if you have sensitive skin and can create really defined results, so it's perfect for facial hair. But it doesn't stop there, inbetween your shopping you can also opt to have your brows/ lashes tinted too (patch test required 24hrs before) or even have some lash extensions applied. 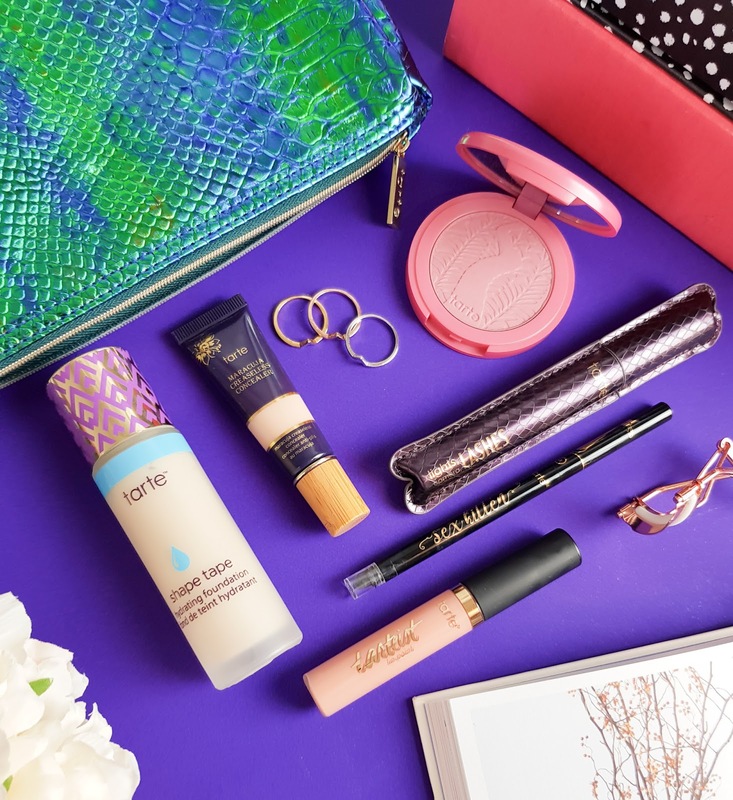 Do your brows need some love? 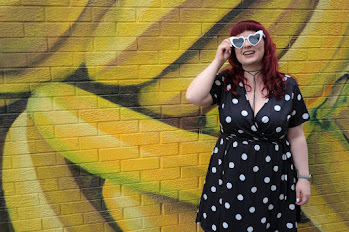 Then call into Topshop, Belfast and visit the babes in Benito; if you're anything like me, you'll go home completely in love with your newly shaped eyebrows and a Topshop wishlist as long as your arm. 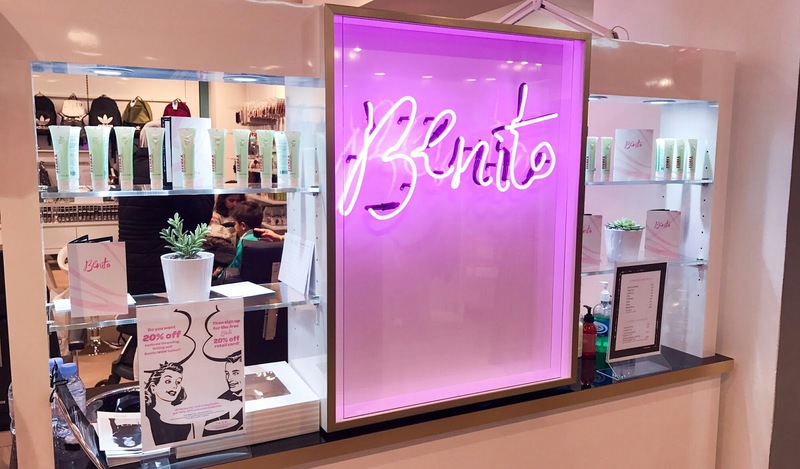 For more information, drop into the Benito Brow Bar at Topshop, Victoria Square, Belfast OR or visit benitobrowbar.com.